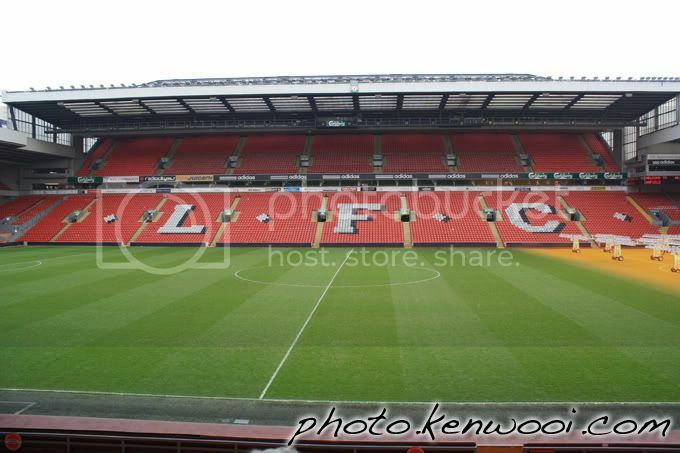 The pitch inside Liverpool's Anfield Stadium. The number of seats available here is definitively not as many as Old Trafford. More details at Trip to Liverpool's Anfield Stadium on kenwooi.com.